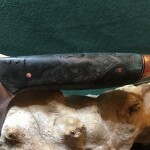 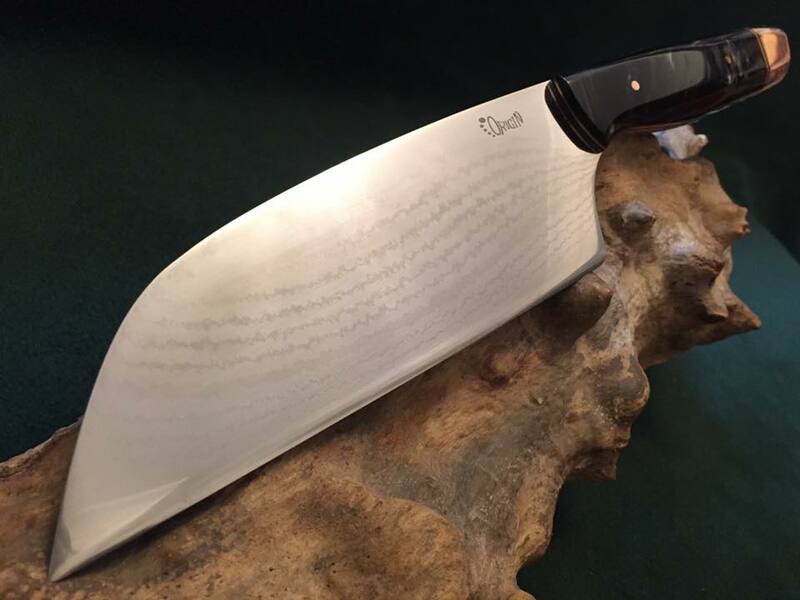 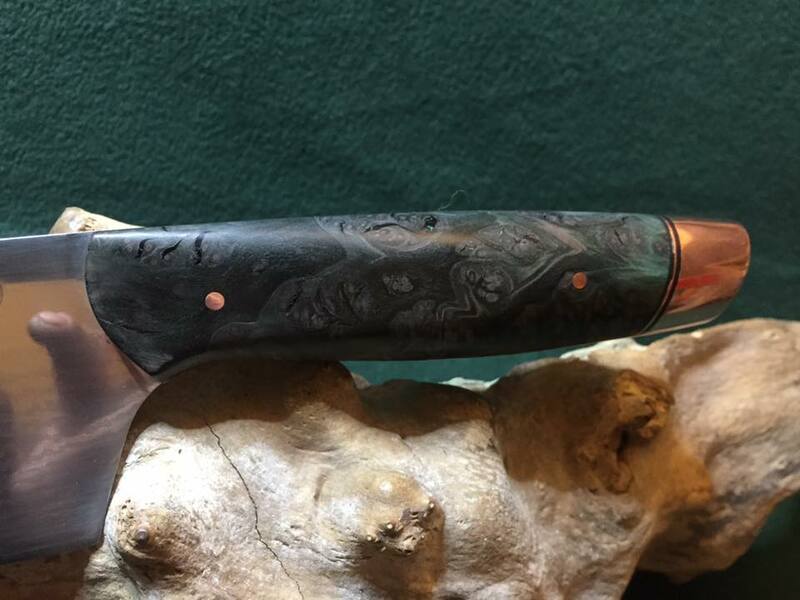 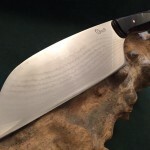 A 180mm Japanese laminated steel blade with a core of VG10 is the start point for this knife. 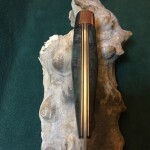 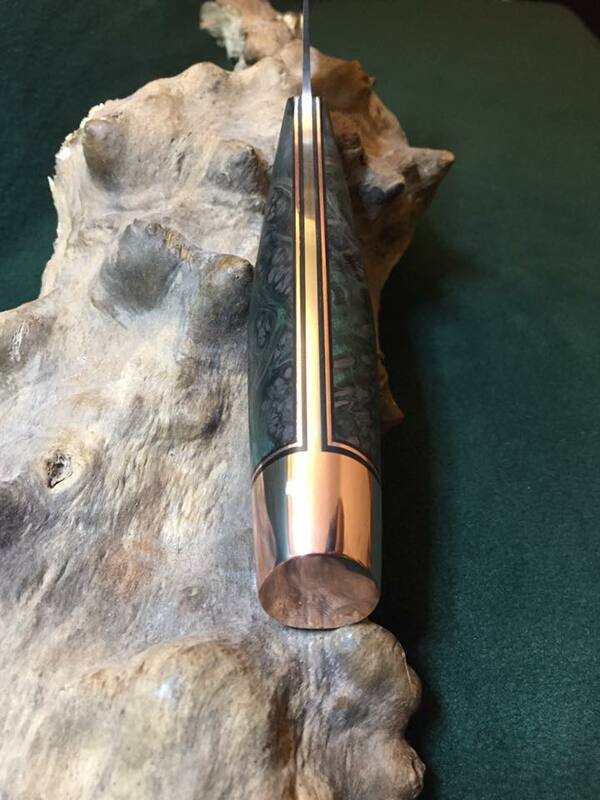 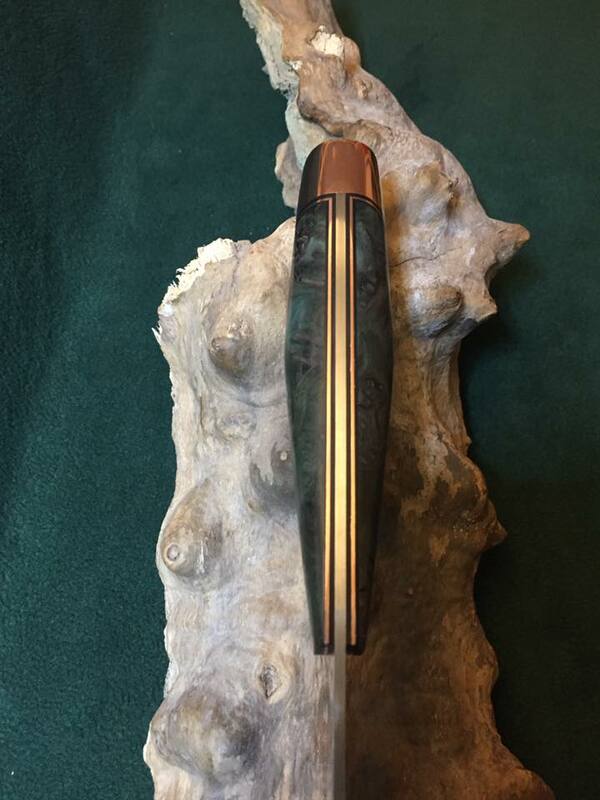 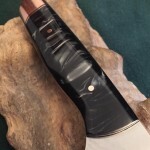 The handles on the examples shown here are stabilized and dyed redwood root scales on copper and black liners, and the other of black “Mother of Pearl” acrylic on black and copper liners both have a solid copper pommel. 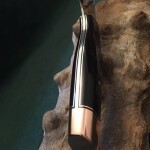 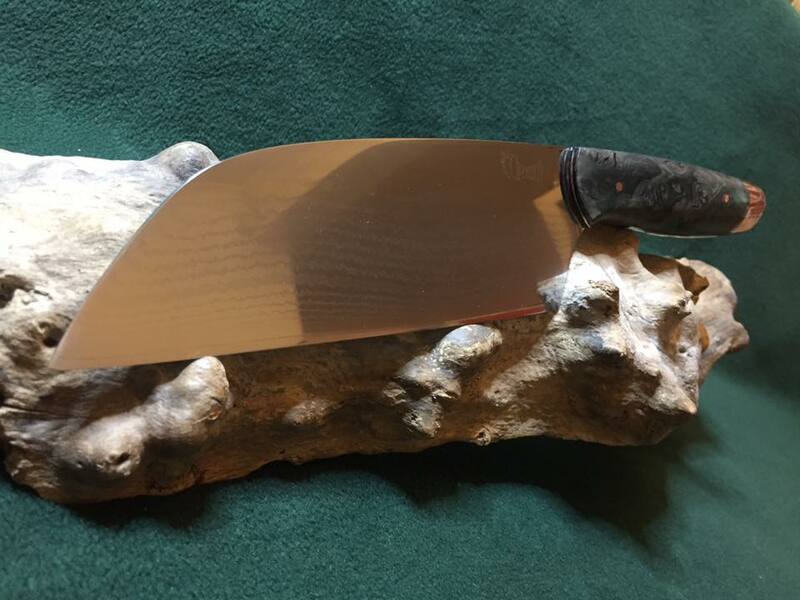 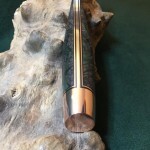 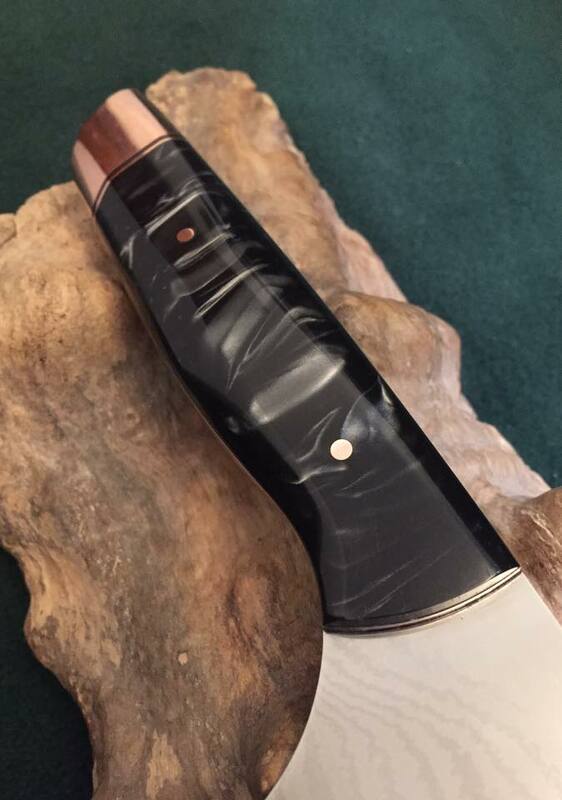 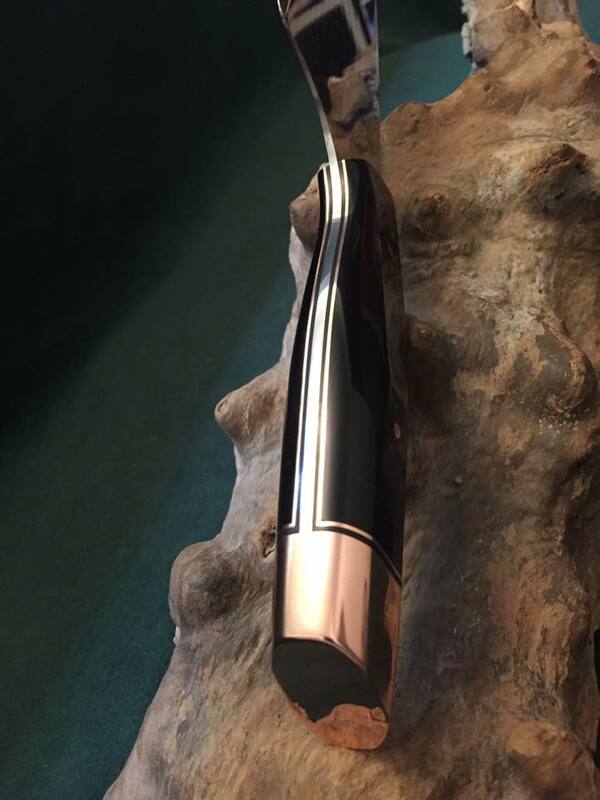 Copper has anti bacterial properties so is a good choice for kitchen knives.